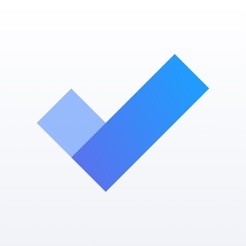 Many fixes latest Microsoft To-Do update for iOS. Fixed: No, your eyes weren’t deceiving you, the header was doing a little dance as you scrolled. We’ve put a stop to that, don’t you worry. Fixed: If you were swiping right to see your list view you may have spotted the lists trying to merge with the to-dos. We’ve fixed that weird transition. Fixed: Our Note section temporarily went into stealth mode in the detail view. We’ve added the missing placeholder text back in so you can find where to add your notes more easily. Fixed: Using 3D Touch to add to-dos? Pretty nifty, right? You might have noticed that the to-do sometimes ended up in a strange list. It will now always show up in To-Do so you can easily find it and move it into your preferred list. Fixed: Signing in with a Work account? If you were having issues with a blank sign in screen, you’ll be happy to hear that we’ve fixed that and you should be able to sign in now. We’ve also fixed some other issues that were preventing sign in. Improved: If you’re using Microsoft To-Do with the Authenticator app then you’ll notice that we’ve improved the flow so you can get straight back to ticking off those to-dos as easily as possible. Improved: We’re constantly improving accessibility and we’ve made a ton of fixes in this update.